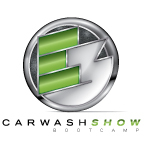 The ICA wants to make sure Exhibiting Companies for the 2014 Car Wash Show have access to all the tools available to ensure a successful 2014 Car Wash Show™. A study from American Express OPEN revealed that while more than half of small business owners pay themselves a regular salary, they are receiving an average salary of $68,000 annually, down from $72,000 a year ago. Visit http://smallbusiness.foxbusiness.com/entrepreneurs/2013/10/21/and-average-entrepreneur-salary-is/ to view the full article online. Your employees make hundreds of small decisions every day that cumulatively impact the success of your company. Are they making the right ones? Visit http://www.inc.com/les-mckeown/secret-to-success-this-is-it.html to view the full article online. Consumers have been inundated with marketing that promises the entire world in exchange for just a bit of their hard earned money. They’re besieged by empty promises, logical fallacies and celebrity endorsements, and consumers have become seriously jaded, harder to impress. The latest trend in marketing may surprise you, but it’s worthy of notice because it actually works. Visit https://www.openforum.com/articles/authentic-marketing-a-6-step-strategy-for-staying-true-to-your-story/ to view the full article online. Small and independent business owners often ask how they should dive into the social media world. Many of them have little or no experience with social media and some of them may use it but without purpose. Here are seven tips for jumping into social media marketing. Visit http://www.huffingtonpost.com/brandon-suyeoka/7-tips-for-small-business_b_4139791.html?utm_hp_ref=small-business&ir=Small+Business to view the full article online. One in three motorists get their car hand-washed every couple of weeks, according to the latest research from British Car Auctions (BCA). Revealing the attention paid by motorists to their cars, the study shows that almost a third of motorists who get their car cleaned regularly pay for hand washing rather than doing it themselves or taking it to an automated car wash.
Visit http://www.hulldailymail.co.uk/drivers-pay-car-wash/story-19952624-detail/story.html to view the full article online. Michael Balboni grew up in the car wash business and can't imagine being in any other. "It's in my blood," he said. He and his wife, Allison, recently became the owners of what has been renamed Infinity Carwash in Manchester, NH. Visit http://www.unionleader.com/article/20131020/NEWS02/131029997 to view the full article online. Queen Kleen Car Wash & Detail Spa celebrated their one year anniversary by hosting a breast cancer awareness event supporting the Liz Hurley Breast Cancer Fund. Visit http://www.al.com/living/index.ssf/2013/10/queen_kleen_car_wash_celebrate.html to view the full article online. A local car wash is teaming up with Marillac Clinic to help people in need of affordable health care. Splish Splash donated 20 percent of Saturday's proceeds to the Marillac Clinic and hundreds of cars showed up to get clean and support the cause. Visit http://www.nbc11news.com/home/headlines/Splish-Splash-Car-Wash-hosts-fundraiser-day-for-Marillac-Clinic-228489721.html to view the full article online.